Colors is like everything else, it’s best used in moderation. You will tend to get better results if you stick to max three primary colors in your color scheme. Applying color to a design project has a lot to do with balance and the more colors you use, the more complicated it is to achieve balance. Color does not add a pleasant quality to design — it reinforces it. If you need additional colors beyond those you’ve defined in your palette, make use of shades and tints. They will provide a different tone to work with. This interior design rule is a timeless decorating technique that can help you put a color scheme together easily. The 60% + 30% + 10% proportion is meant to give balance to the colors. This formula works because it creates a sense of balance and allows the eye to move comfortably from one focal point to the next. It’s also incredibly simple to use. 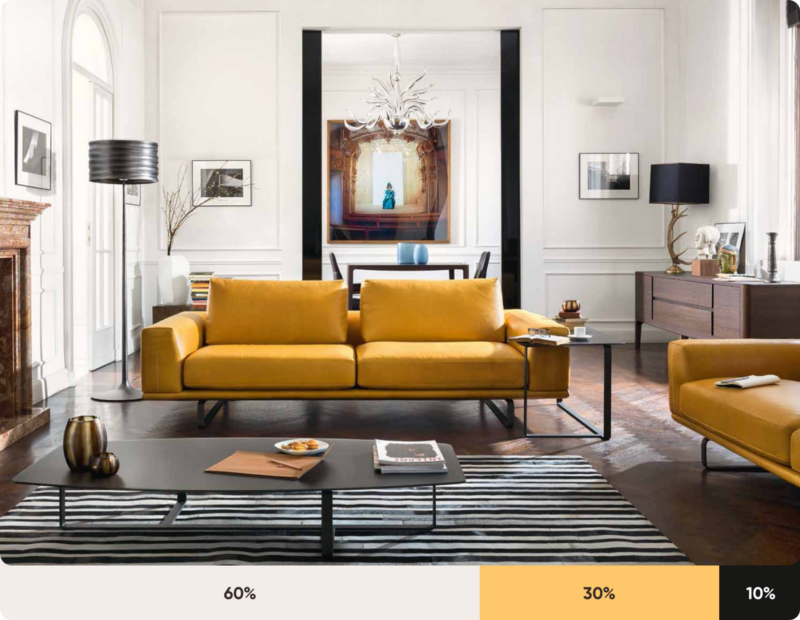 60% is your dominant hue, 30% is secondary color and 10% is for accent color. Scientists have studied the physiological effects of certain colors for centuries. Besides aesthetics, colors are the creators of emotions and associations. 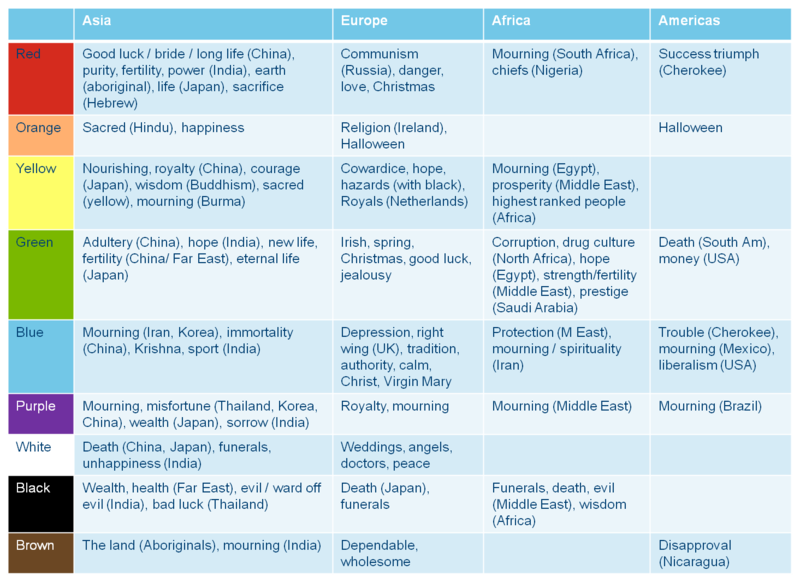 The meaning of colors can vary depending on culture and circumstances. That’s why you see black&white fashion stores. They want to appear elegant and sublimely. 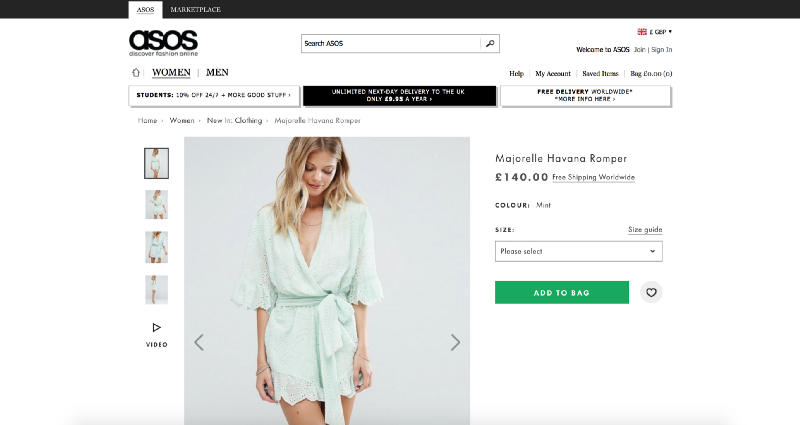 Asos is pure black&white with green CTA. It’s made for a reason. If you want more check this list — color culture. We like to play with colors and tones early in our designs but this behavior can betray you very quickly when you will realize that you’ve spent 3 hours adjusting primary color … It’s really tempting but you should learn to avoid this attitude. Instead force yourself to focus on spacing and laying out elements. It will save you a lot of time. That sort of constraint is very productive. On the flips side, it doesn’t need to look boring. Try different tones if you want to make it good looking. 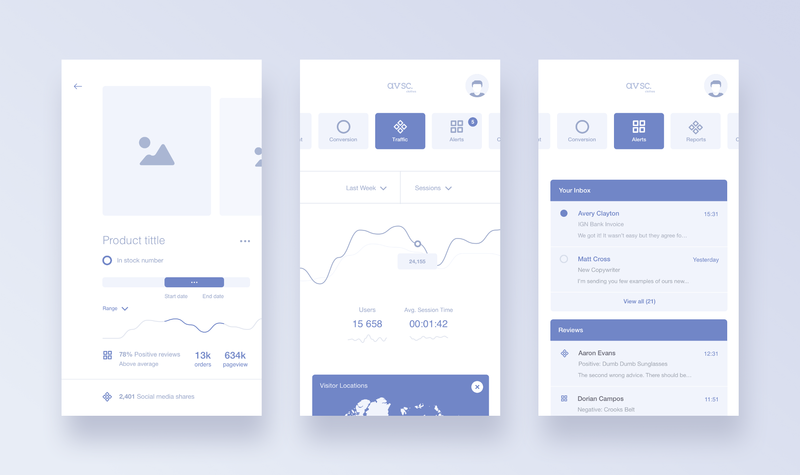 One of my work that you can find on dribbble. Simple monochromatic colors and focus on elements. One of the most important color tricks I’ve ever learned was to avoid using gray colors without saturation. In real life, pure gray colors almost never exist. The same goes for blacks. Remember to always add a bit of saturation to your color. Subconsciously it will look more natural and familiar to users. The best color combinations come from nature. They will always look natural. The best thing about looking to the environment for design solutions is that the palette is always changing. Some colors go well with each other, while others will clash. There are definitive rules for how they will interact that can be best observed on a color wheel. You should be aware of this methods but it’s not necessary to do it manually. Videos, print design, interior design, fashion… there are so many inspiring places to gather from. Simply don’t be inert to those palettes and save everything that looks interesting. Often time I like to steal colors from KPOP videoclips. They are gorgeous. 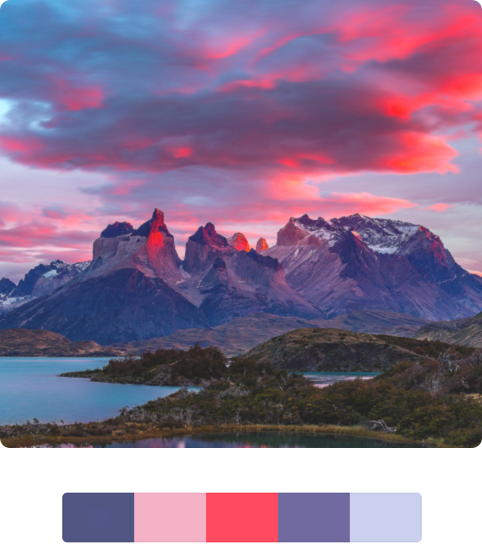 To make things easier, I rounded up some of the best tools for choosing color palettes available in 2017. They will save you a lot of time. Definitely my favorite tool for picking colors. 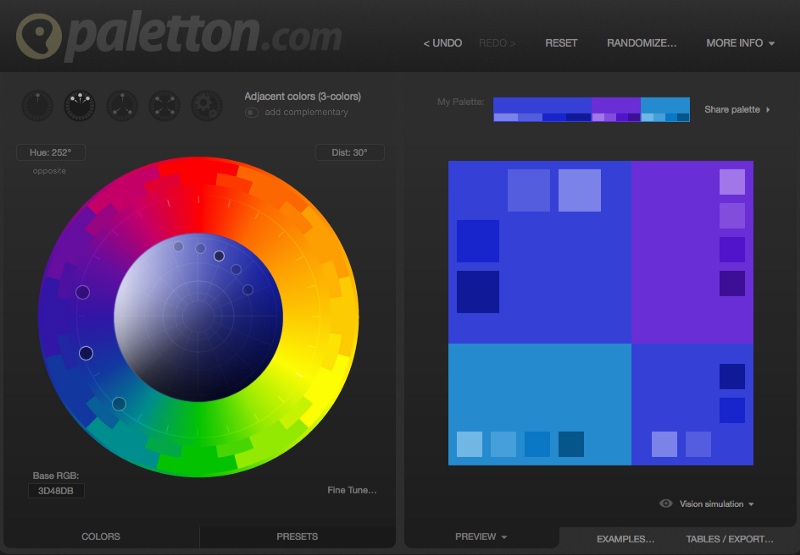 You can simply lock selected color and press space to generate palette. 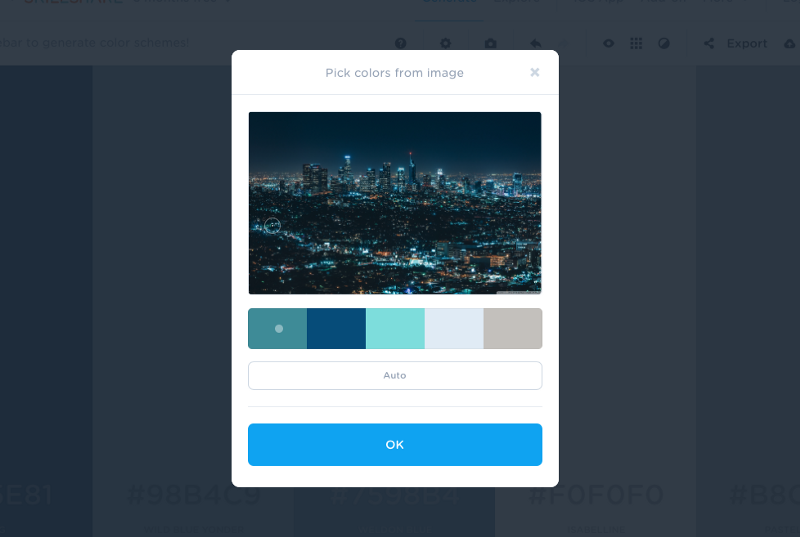 Coolors also gives you the ability to upload an image and make a color palette from it. The cool thing about it is that you are not limited to only one outcome but instead you have a picker that allows you to modify reference point. This tool from Adobe has been with us for a long time. It is available in the browser, and in desktop versions. 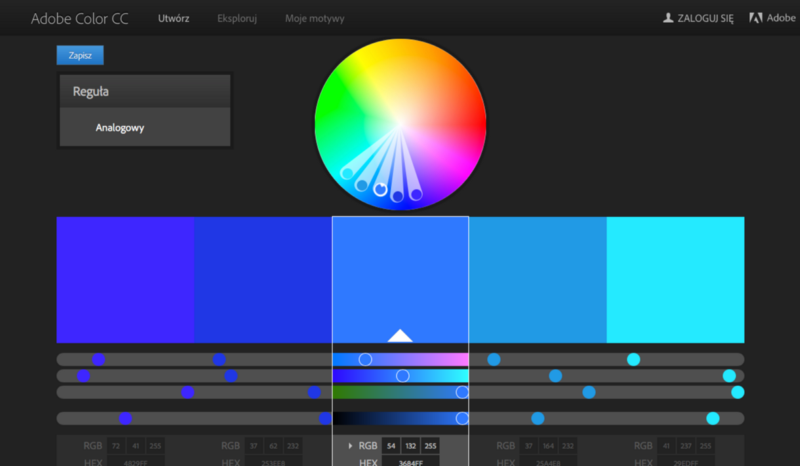 If you’re using the desktop version you can export a color scheme into Photoshop. It’s similar to Kuler but the difference is that you are not limited only to 5 tones. Great tool when you have primary colors and want to play with additional tones. Imagine that you have an idea for your color palette but you want to see examples of this mix. Designispiration is a great tool for this. You can pick up to 5 colors and search images that are matching your query. Really good not only for finding images with the specific palette but also for real implementation of them in design. You may ask — what if I want to search for photos with my chosen color? 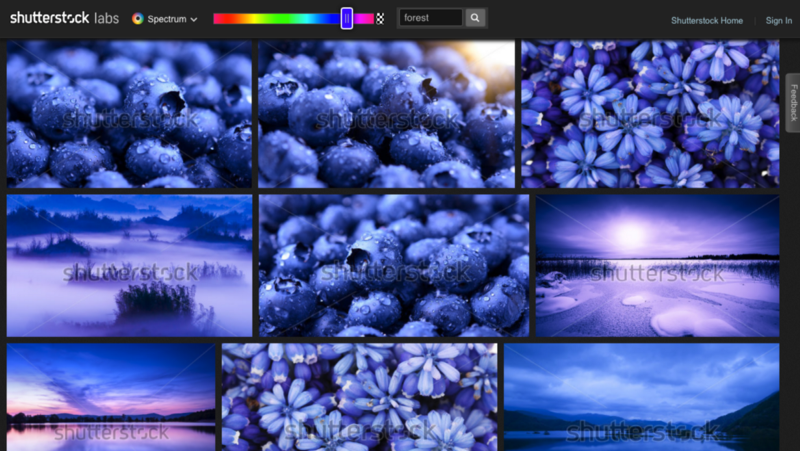 Well, Shutterstock has a tool called Spectrum where you can search photos by specific tone. You don’t even need subscription because small preview image with watermark will be enough to generate palette. of 10 million Creative Commons images from Flickr. Color is a tricky concept to master, especially in the digital era. Tips mentioned above will ease the job of finding the right colors. The best way to learn to create stunning color schemes is to practice so do yourself a favor and play with colors.